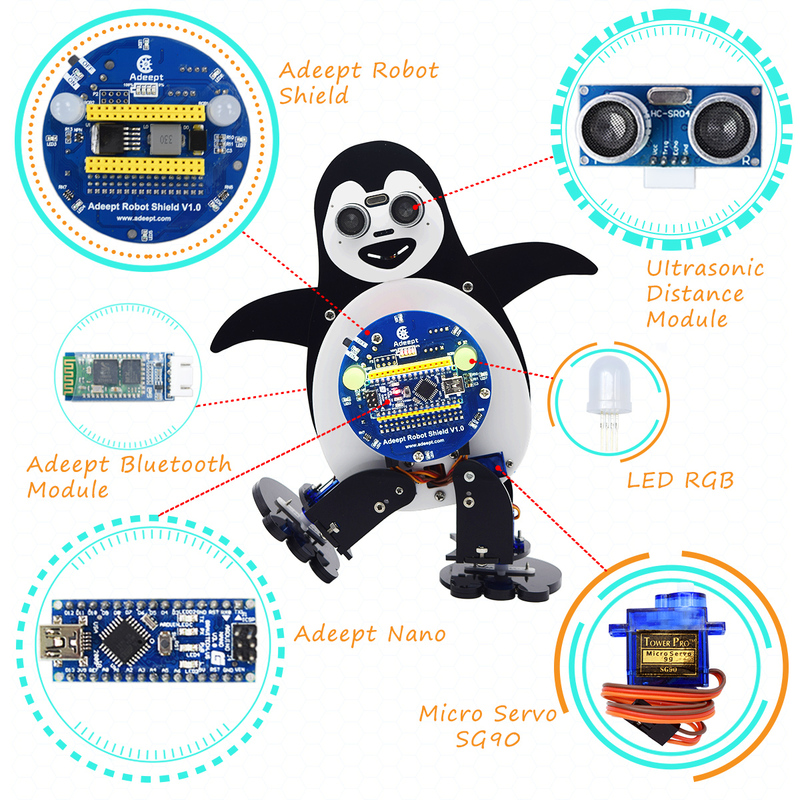 The Penguin Robot kit is designed based on Arduino Nano. 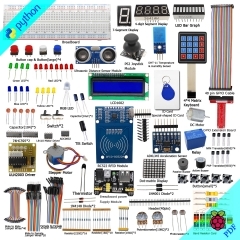 This is a complete and fun Arduino/Robot learning kit. 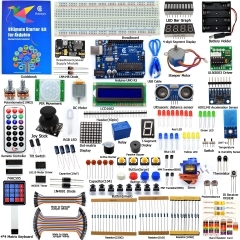 We carefully prepared a detailed manual(PDF), the manual contains complete circuit diagrams and assembly steps. 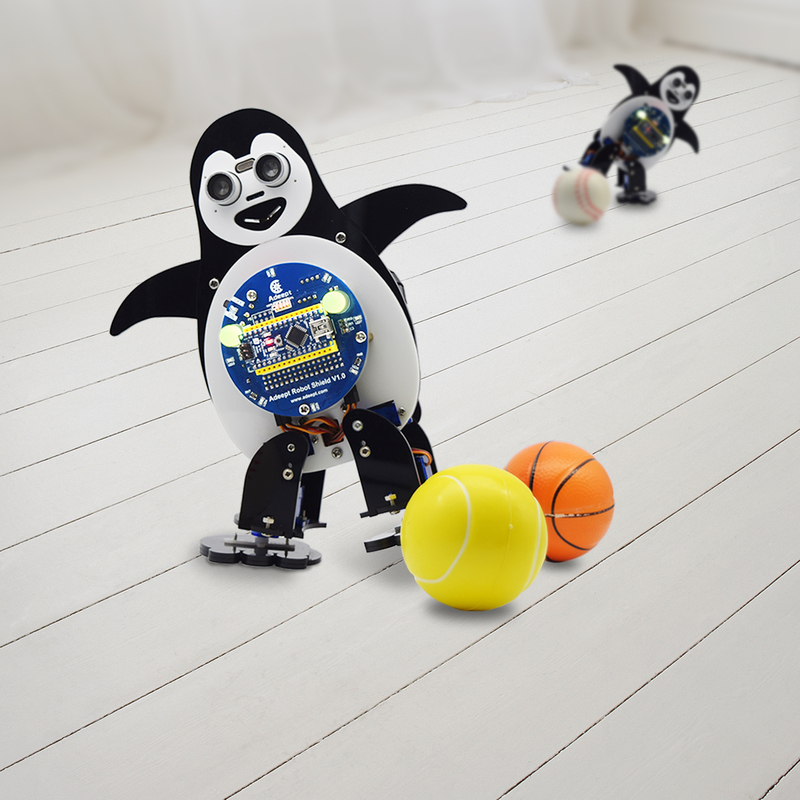 This two-foot robot moves like a penguin with a cute penguin-like shape. 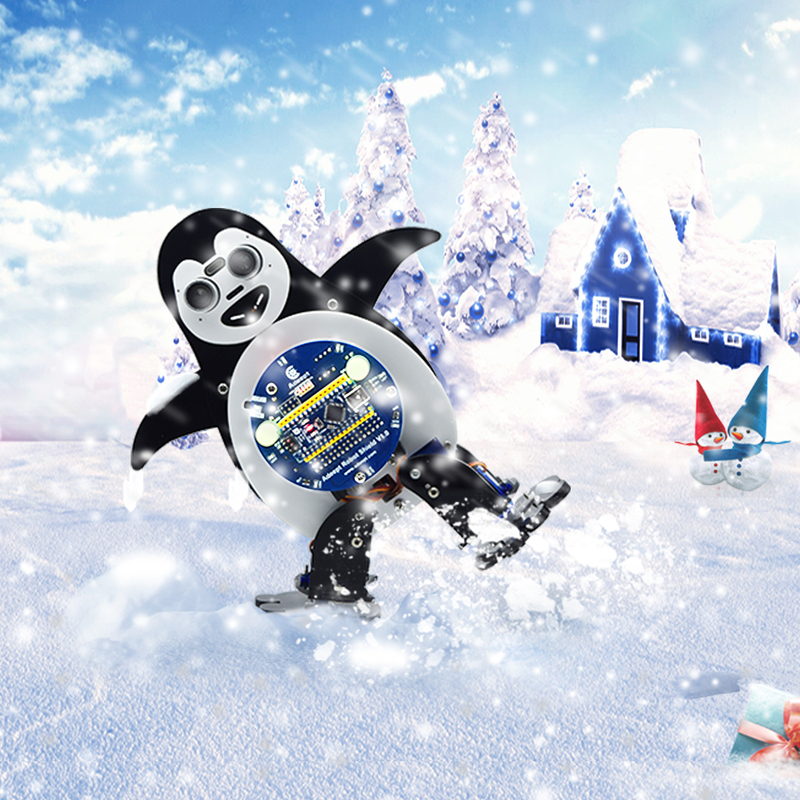 You can make it move forward and backward and turn right and left via smart phone. 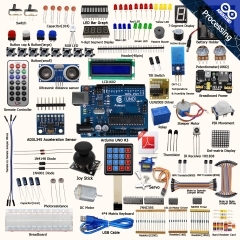 With numerous resources for Arduino learning, this robot just caters to beginners. 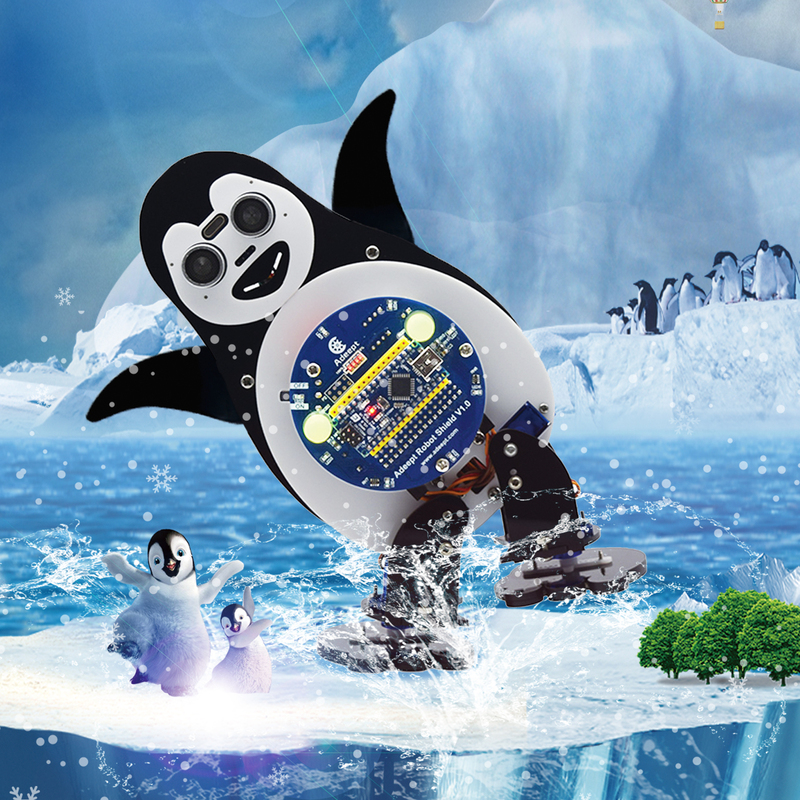 With the Arduino Nano as the core control board, the penguin robot also integrates buzzer, RGB LED, LED, and extension ports that control 16 servos at the same time. 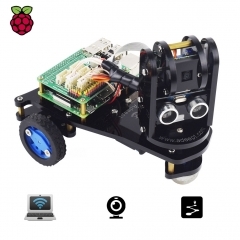 It's driven by 4 servos to move and can detect obstacles with an ultrasonic module; to communicate with mobile phone, it adopts a Bluetooth module for wireless connection. 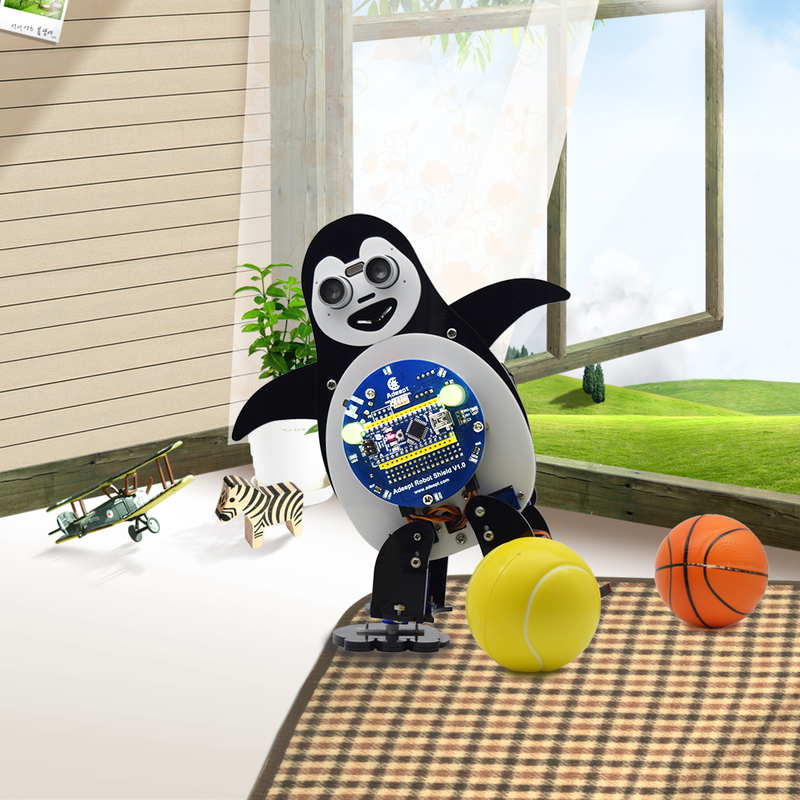 1.The Penguin Robot kit is designed based on Arduino Nano. 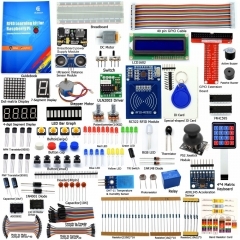 This is a complete and fun Arduino/Robot learning kit. 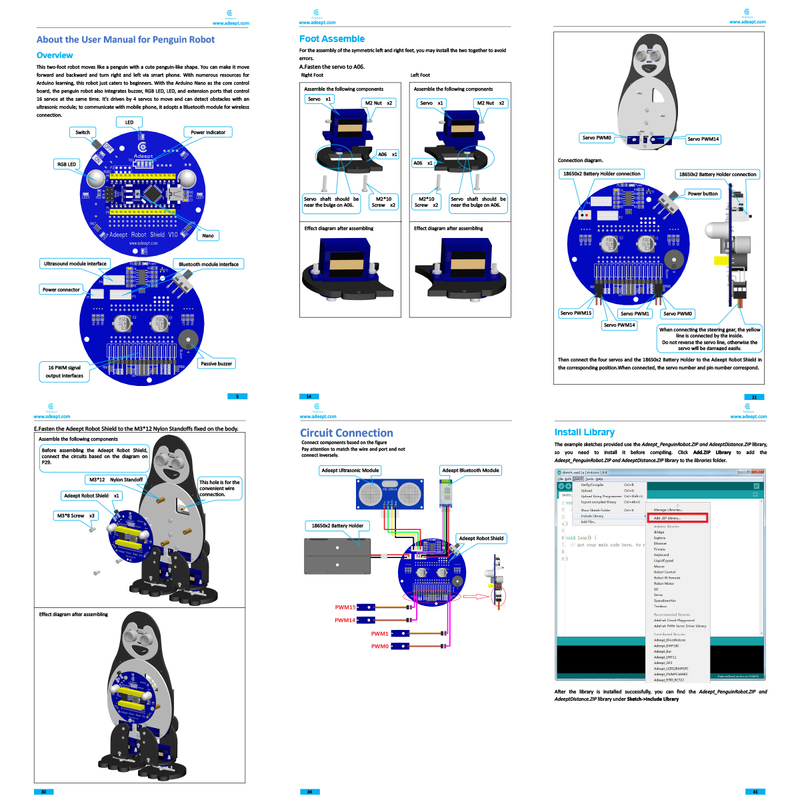 We carefully prepared a detailed manual(PDF), the manual contains complete circuit diagrams and assembly steps, according to our tutorial, you will be able to easily build your own Penguin Robot. 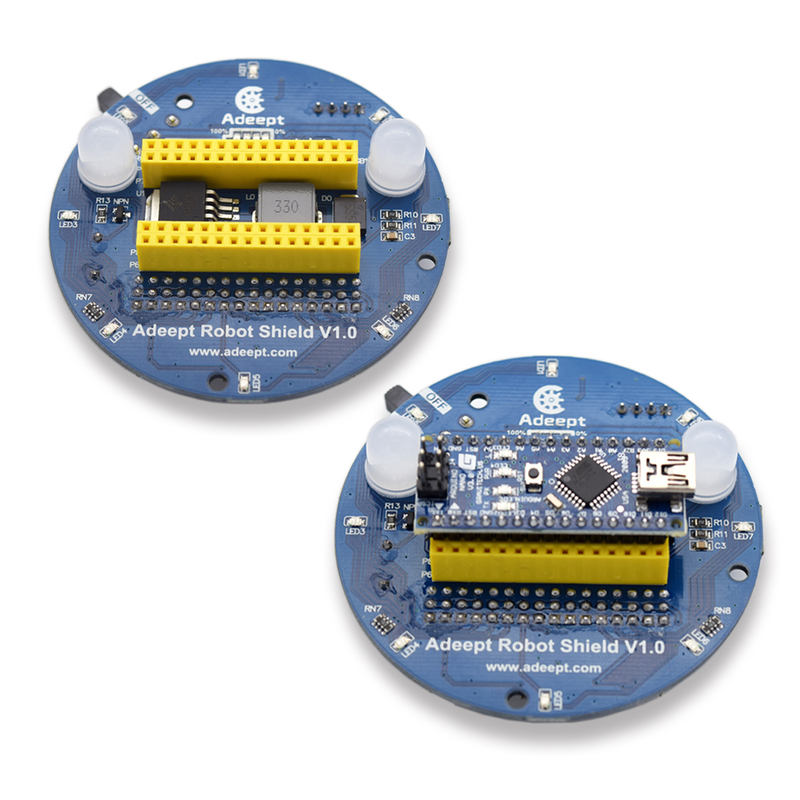 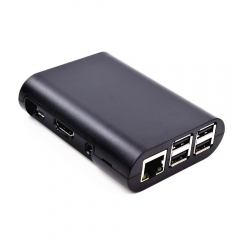 2.The robot can be remotely controlled by Android device via HC-06 Bluetooth transmission module. 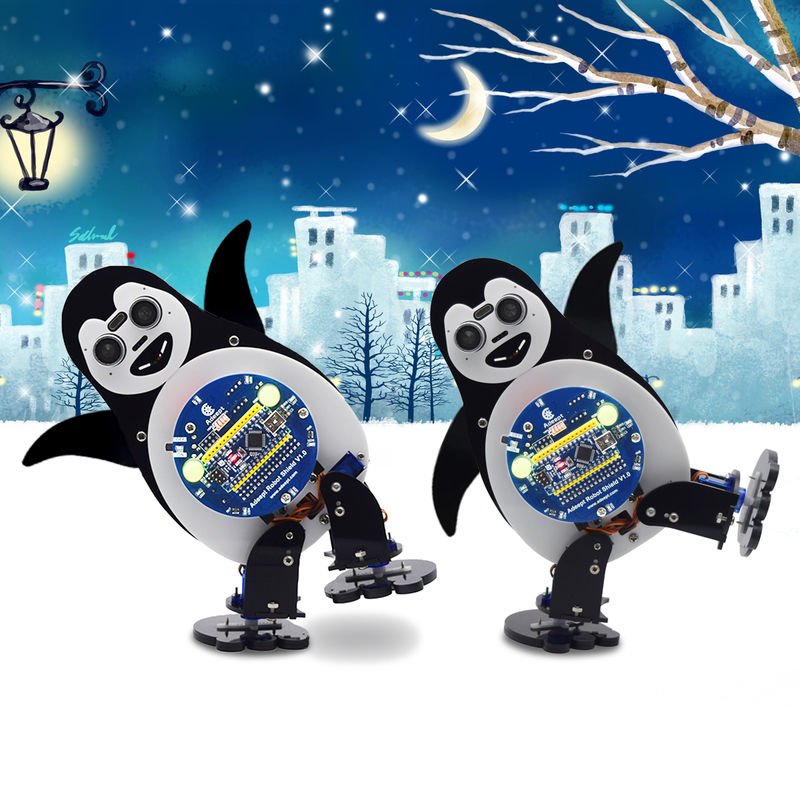 3.The robot is flexible and it can dance. 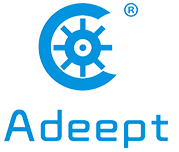 4.Quick-responding technical support for free.